Firefox has a built-in password manager which is enabled by default. That is why you will be asked whether you want to save your password after typing your password on a certain site. You can manage the saved passwords in Firefox via Password Manager which you can access via Options menu. If you objected with the default setting of Firefox that asks you to save your password, you change change the default setting to stop Firefox from asking you to save your password. To do so, click the three-line icon on the top-right corner and select Options. 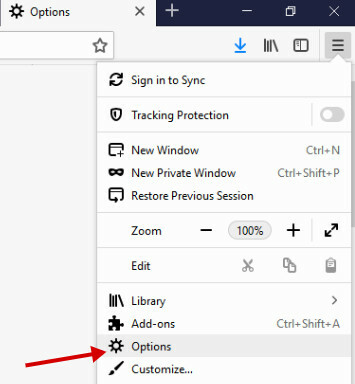 On the Options page, click Privacy & Security on the left panel and uncheck the Ask to save logins and passwords for websites option on the Forms & Passwords section. Starting now, you should not see a pop-up asking you to save your password anymore every time you are done typing your password on a certain site. The password manager offered Firefox itself is actually helpful enough if you use lots of online services and tools on your daily basis. Using this feature, you don’t have to manually type your username as well as password to login to every single online service and tool you use. However, since password is a very sensitive information, you might don’t want any party to know your password or even save it.